Dr. Rach's hobbies typically have something to do with pets and nature. He loves gardening, fishing and playing with his dogs and horses He has a small farm that he shares with three dogs, three horses and his partner, Daniel Brocker. The horses consume a great deal of his time as he rides daily and is an avid competitor at the sport of "three day eventing". 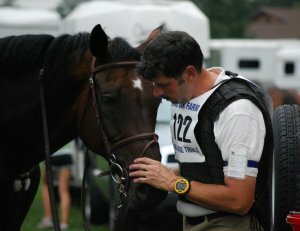 That sport is a triathlon for horse and rider involving dressage, jumping and cross country obstacle courses. Great fun!